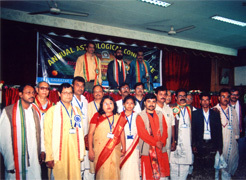 Movement of celestial bodies influences the present and future of individuals – their personal life, career, family etc. Therefore to choose the right path of successful and to achieve growth, accurate astrological prediction of future becomes immensely important. Medhasri Sastri is an eminent astrologer of India and he forecasts future of individuals using ancient principles of Vedic astrology. Her calculations & predictions have come true for many. 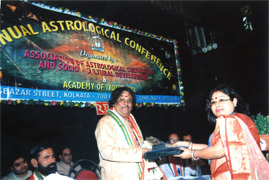 Mrs. Sastri draws astrological predictions through exhaustive calculations of planetary strength - Dasa and its sub-period - Bhava and Phal. Her highest degree of accuracy in predicting someone's future helps individuals to know about their fortune and destiny. 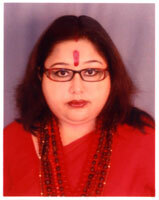 Mrs. Sastri also provides consultancy for vastu, kundli, muhurats and other Vedic tools. She also predicts potential forthcoming problems and accordingly suggests astrological remedies through gemstones, yantra, etc. Astrologer Medhasri Sastri is one of India's most famous astrologers providing astrological predication, consultations and remedies. 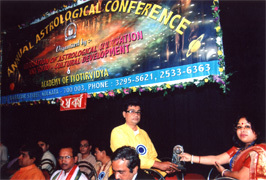 She has been actively involved in astrology. 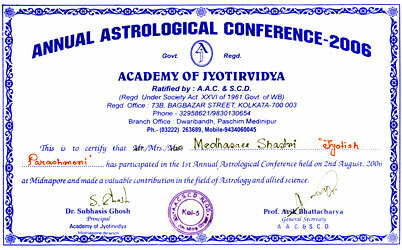 She achieved finest qualifications of Vedic astrology. 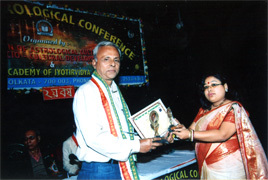 She pursued her studies under the guidance of eminent astrologers in best institutes of India.